Was Bugs And Fudd Your First Time? 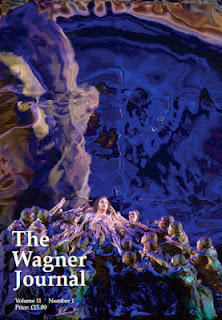 A Wagnerian With No Wagner? Not Music To An Aussie. 10 Down, 8 Across. police inspector. 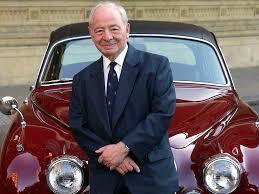 He first appeared in Colin Dexter's 1977 novel Last Bus to Woodstock - the first in a series of 13 - plus one short story. Since then, he has appeared in one stage play (An original story, recently adapted as a radio play by the BBC and to be found, in full, below) a number of radio play adaptations and two TV shows (plus another spin-off show "Lewis in which he does not appear). 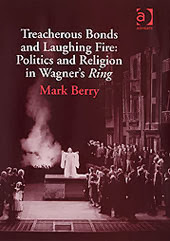 As we have noted, Morse was a Wagnerian - as too was his creator. The original novels are filled with references to Wagner - many relatively obscure to those without an interest. This last week, with some spare time on our hands, and following the sad death of his creator, we have found ourselves revisiting the world of Morse; both the original novels and the various TV shows: Morse, the prequel series Endeavour and the spin-off series Lewis. The Wagner Journal is 10 years old this year - no small task when so many magazines and journals are struggling to survive in the second decade of the 21 century. Happy Birthday! To celebrate, they have not only just published a new edition but revamped the website. Click here to visit and read below what you can expect in this quarter's edition. As always, recommended. Watch Now: Opéra Monte-Carlo's French Language Tannhauser. 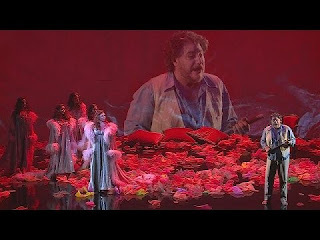 But first listen to those involved in, Opéra Monte-Carlo's new production of Tannhauser, discuss the production, the work itself and why they are staging the Charles-Louis-Etienne Nuitter translated 1861 "Paris version"
Many of the people involved in the Washington National Opera's production of the Ring say it was theirs. Well, at lest that their first exposure to Wagner's "operas" came from the same source: Bugs Bunny and Elmer Fudd cartoons. Or so they say in interviews in this short video from the Wall Street Journal.